Mission Able 2015 is the brain child of a group of enthusiastic scholars from the Scholars Leadership team (to those of you who are wondering what the Scholars Leadership team is, it is like the Student Council for scholars). 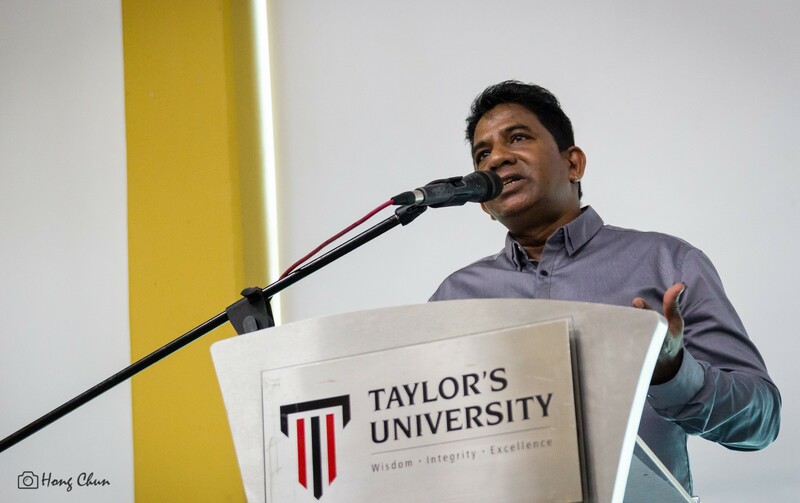 With the intention of engaging fellow scholars in more community-centric initiatives, they’ve decided to start the first scholars-initiated large-scale community service event in Taylor’s University. After weeks of fervent planning and speculation, the fruits of their labour have at last begun to show; the launching ceremony of their ambitious event finally took place on 22 June in the ever-popular, scenic LT 12. It was evident then that they had put in much effort and labour into this. The execution of the event was fluid; the preparation painstakingly done and notably, the dress code rigorously adhered to by the scholars themselves. If someone walked in, having no clue about what event was taking place, that person would likely have surmised that it may have been prom instead. Indeed, everyone was impeccably dressed and I could understand why: it meant a lot to these scholars. 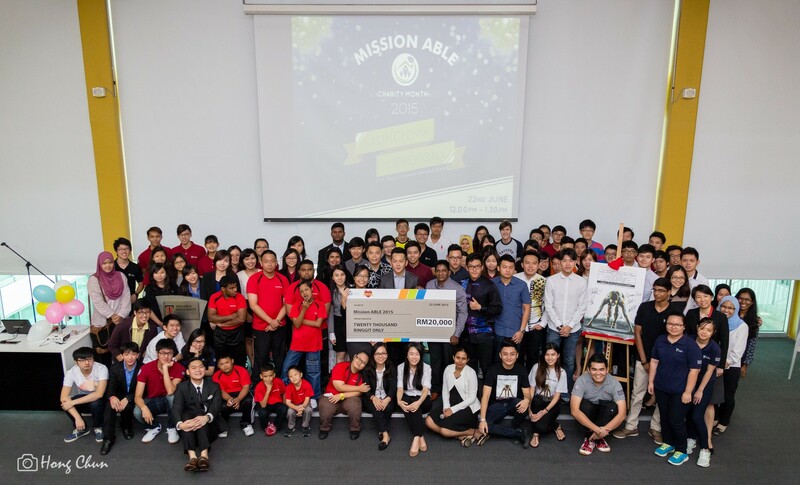 Mission Able 2015 consists of 4 main events: MPA Charity Run, E-Competition Slogan & Photography, Charity Bazaar and gift sales. These will be taking place in the month of September, which also happens to be the National All-American Breakfast Month. While it’s unclear if muffins and scrambled eggs will be served, be assured that there will undoubtedly be a plethora of choices for one to choose from at the bazaar. On the other hand, on what may quite possibly be the flagship event of Mission Able 2015, the MPA Charity Run, over 2,000 students are expected to be joining as participants. Having an audience of this volume could very possibly make this initiative one of the grandest student-organized events for 2015 at Taylor’s University. Nonetheless, their plans are not without support. Named after a financial education company, the MPA Charity Run had received a generous donation from MPA. Much thanks goes out to the organisation for supporting this event and its scholars, all of whom appreciate the aid given very much. The beneficiary of the proceeds will be the Handicapped and Disabled Children’s Association of Klang Selangor (PPKKCKS). As the name suggests, PPKKCKS is a multi-racial home for disabled children in Port Klang. Under the love and care of Mr Morgun A/L Nadesan, the children are looked after tenderly, with hopes of them being able to lead fulfilling lives among his priorities. The home is a non-governmental organization (NGO) and hence doesn’t receive financial support from the government. Imagine my surprise then, when after some queries, I learnt that they didn’t receive much help from outside parties. They are in severe need of aid as the volume of occupants has increased over the years; now, they’re looking to accommodate more children in their new home, which is currently lacking basic necessities like furniture and electrical appliances. Whether it be by fate or chance, they came across concerned scholars from Taylor’s University, who saw that it as their mission and purpose to come to their aid. Mr Morgan expressed his sincerest gratitude to everyone involved for having shown kindness towards him and the home at the opening ceremony. Little did he know that many of us were just happy to be able to be inspired by him. It should not be our choice to help him; rather, it should have be our obligation. After all, considering ourselves lucky beneficiaries of the proverbial economic pie, we were in a position to give more. And thankfully, in this case, we did. So do come. Do participate and enjoy yourself, all the while knowing that someone got a beautiful home thanks to you. Note: The early bird registration for the Charity Run has opened! Check out their Facebook page (Mission ABLE) to give them your support. 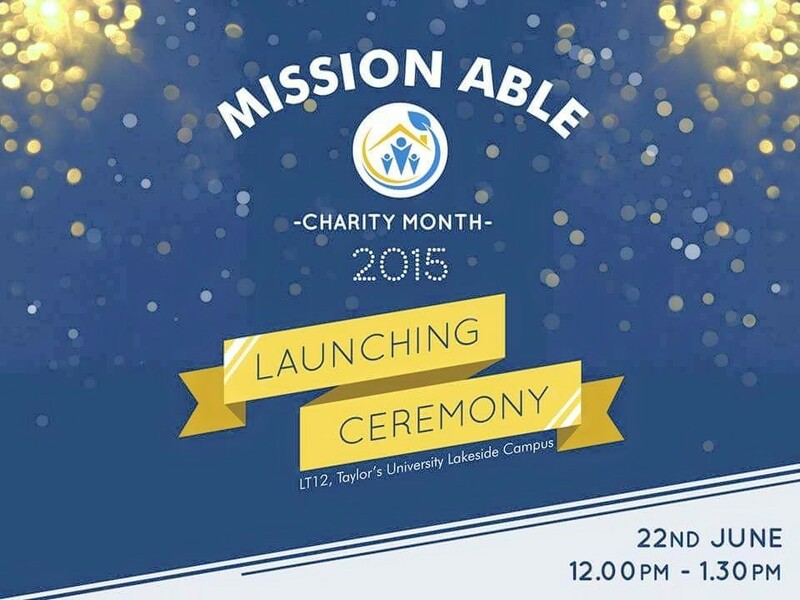 Tags: Mission ABLE, MIssion Able 2015, MPA Charity Run, Scholars Leadership, Taylor's University, Taylor's University Lakeside Campus. Bookmark the permalink. Previous post ← Only Boring People Get Bored?